Artistic growth and technical progress as a DJ can feel like a slow burn – the problem is that we want to dramatically improve as soon as possible, so sometimes we feel like we’re not getting anywhere. Unfortunately, there are some things about DJing that simply take time, and that includes the musical, technical, and entrepreneurial sides of it. Whether it’s learning how to get good at intermediate mix techniques, developing your ability to read crowds and energies during a performance, or growing your network of promoters and booking agencies, sometimes the biggest and most significant gains are the result of years of persistent effort. This is also what sets apart the “weekend DJs” from the ones who are serious about the craft – while you can learn beatmatching in a relatively short time (for instance), taking your audience on a journey through carefully selected tunes fished on the spot is a power that can only grow over time. Here’s how to start thinking about the big picture, how to chip away at a big goal through small daily efforts, and how to stay motivated while reaching that DJing goal which is still years away. You’d be surprised at how much easier it is to learn advanced techniques when you’ve got a firm grasp of the basics that they’re built from. If you want to get better, make sure you’ve got a proper foundation that consists of the absolute basics. It took me a long time to realize that a large chunk of the vocabulary of scratch sounds are built on combinations of the first few scratch principles and techniques that are taught to a beginner. All the while I was practicing my crab scratches to cut like QBert when I should’ve been working on rhythm, consistency, and timing. If I spent half as much time working on these instead of shuffling a crossfader between a thumb and four fingers I would’ve been better at scratching than I am today. 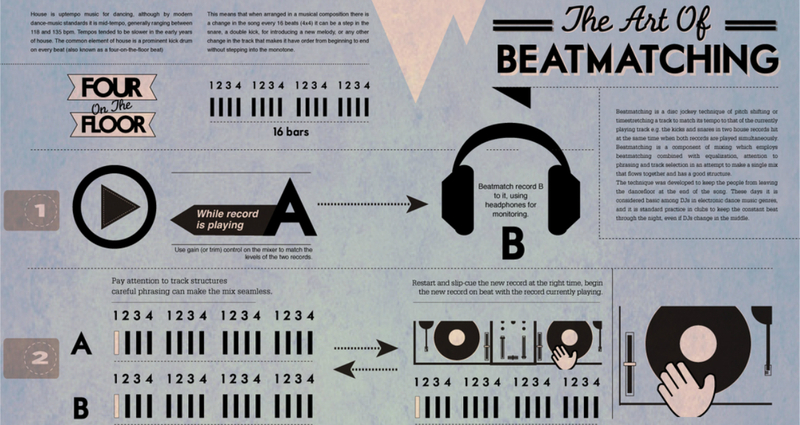 The same goes for standard DJing – do you know why some musical keys work better with others? Can you truly beatmatch using only your ears? 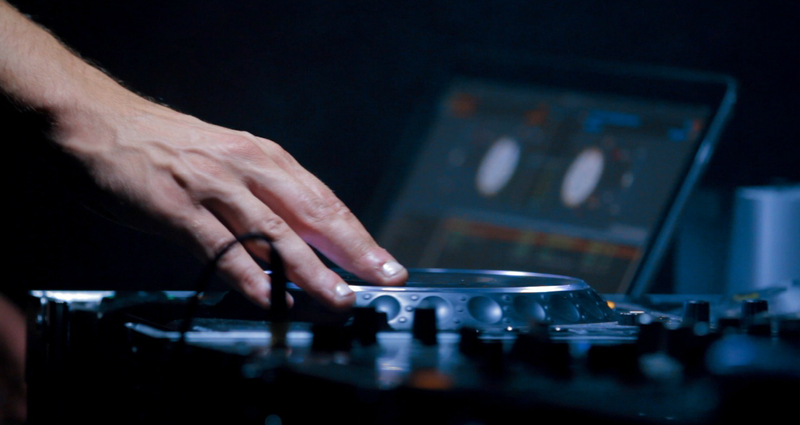 Do you know what all the knobs and faders on your controller or DJ mixer do? Takeaway: It can feel like taking a step back instead of forward, but forcing yourself to strengthen your weak fundamental skills will allow you to explore more advanced concepts and techniques later on because you’re building on top of these foundations. This is how you set yourself up for success from the get-go. 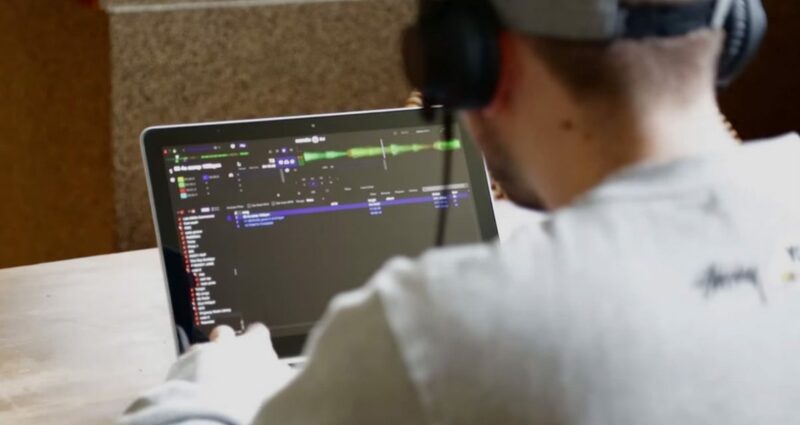 You could be an awesome DJ right now, but there’s always going to be something new to add to your set of DJ performance tools, such as Serato Flip. The day that you feel you’ve learned everything there is to know about DJing is the day that your skillset begins to lose value. One reason for this is even though DJing on the surface is “mixing two songs together”, we all know that it goes a lot deeper than beatmatching the more you get into it: Mixing in key, programming your set and curating your library, and even knowing when it’s appropriate to not beatmatch at all and just drop in your next tune are all things that look like second nature to veteran DJs because they’ve worked on it and continue to work at it despite their lofty status. Another reason is that DJing is directly tied to technology: Things like DJing on an Apple Watch may be a gimmick right now, but who’s to say how wearable devices will affect the way DJs perform in the years to come? This is basically the continuation of the debate that’s been raging since DJing started: Vinyl DJs hating on CD DJs, CD DJs hating on laptop DJs, laptop DJs hating on tablet / iPhone DJs, etc. Instead of complaining about new technology, I think a more constructive approach is to figure out how that new technology can elevate your performance and keep you fresh for as long as its connected to your core DJ values. My favorite example of this is Carl Cox: He’s universally hailed as one of the greatest DJs of this generation, but you don’t see him resting on his laurels – he’s always pushing the envelope and moving forward. You probably won’t even catch him spinning vinyl (unless it’s a vinyl-only show), and the time may come that he even ditches CDJs altogether since he’s porting over his sets to the Traktor Kontrol S8, which affords him even greater flexibility to improvise during his banging techno sets (Stems will make this even more apparent.) It’s how he stays relevant, and why young DJs look up to him as a role model even though they’re not fans of his music just yet. Here’s a 53-year-old DJ at the top of the game who’s still evolving and developing as a performer and artist, changing the DJ landscape by being authentic to who he is and putting the work in to understand how to integrate new technologies with his workflow. If that isn’t inspiring, I don’t know what is! Takeaway: Whenever you feel like slacking, think about this – there’s always someone hungrier who’s willing to put in more time and effort than you. Hustle, hustle, hustle! When you’ve got a goal that’s still a while away, it’s tough to feel like you’ve achieved anything today – that club residency you’ve been building towards can feel like a pipe dream if you beat yourself up weekly for not getting there any earlier, or maybe you’ve been meaning to put out a four-song EP of original productions but can’t get past song number three. Don’t beat yourself up over it: Acknowledge that there’s still a lot more to be done, but also realise that you already did at least some work, possibly even quite a lot if you’ve been diligent, and that in itself is a feat to be proud of – maybe you’ve been slowly growing a loyal fanbase at the at the local pub who’ll follow you without question to the superclub downtown, or maybe you’ve smashed the dancefloor by playing two of your original tunes and received genuine praise for them. Takeaway: The most meaningful goals in your career are the result of consistent daily efforts, so it’s always important to acknowledge these small victories to make it feel like you’re going somewhere instead of feeling stuck, and to motivate you further in reaching your DJ dreams – it’s easy to lose sight of what we’ve already accomplished when all we care about is what needs to be accomplished still. I don’t care what people say – I really do believe that DJing is a creative work and the DJ is an artist. Chart music and EDM is great because it’s the path of least resistance to dance music at the moment, but that doesn’t mean you have to play that kind of music for the rest of your life just because you started out playing it. There’s a quote floating around online that goes “the best thing about DJing is that you get to reinvent yourself daily”. While changing your sound every day will make it hard to grow a following (unless you’ve got like-minded followers! ), the shifts in the kind of music that you play and the way you spin them are milestones in your career as a DJ for two reasons: One, it shows you’ve come from somewhere, so you’ve clearly not just started yesterday, and two, it shows your growth as an artist, even if that means changing your sound and style completely because they don’t resonate with you anymore. Here’s a cool story: Pablo Picasso is legendary for his Cubism style of painting, but what most don’t know is that he started out painting natural figures that looked so real they could be photographs. When he had mastered that style (and grew tired of it), he started exploring other styles by breaking rules of composition. Takeaway: Take a cue from Picasso and allow yourself to expand your musical palette – pivot when you feel you’ve hit a creative and technical wall. It might just be the breakthrough you need to reach the next level in your career. As you go along in your journey as a DJ you’ll encounter opportunities and habits that will demand your time. If they’re not aligned with your goals and they’re not working out for you, change them. You’ve got to keep trying out new things if you want to get different results, and sometimes that comes with career choices. Let’s say you start to try out DJing at weddings and then someone asks you to partner up with them to start a mobile DJ business. You say yes, but you find out later on that it’s all but eaten your time for club shows since you’re basically booked until year’s end, forcing you to play weekdays that are reserved for your day job. Plus, your partner now demands that you work full time at the company office and you only play your company’s gigs for the next 12 months to keep bookings flowing. You could look at this situation both ways: Either you quit your day job and playing clubs to focus on growing your lucrative mobile DJ business, or you mutually agree to terminate your partnership and go back to playing clubs and working at the day job that sustains you. The important thing is to realize when something isn’t a “fit” for you anymore, and then to promptly remove it from your life after careful assessment. You’ll find yourself doing this “weeding out” process in a lot of different stages in your career – you may not want to do week night gigs at pubs anymore, for instance, or you don’t want to play corporate functions anymore to focus on playing to a more musically open-minded audience. It can even be something as major and life-changing as relocating to a new city because you’ve grown weary of the stagnant scene in your hometown. Takeaway: It’s hard at the start, but the more you practice changing what you feel isn’t working, the easier it is for you to stay focused on your goals down the line because you’re being authentic. While most people only see DJs enjoying themselves and waving their hands onstage in front of thousands, what they don’t know is all the intensely hard work and sacrifices that went behind getting to that 60-minute set. We see this all the time – many get into DJing because they’re enamored with the idea of playing in front of a massive crowd at Glastonbury, EDC, or Tomorrowland. They set out having been told that DJing these days is “super easy”, and that it’s the path of least resistance to stardom. What they don’t realize is that all those festival headliners (yes, even the ones you abhor) put in an almost embarrassing amount of work through to be able to reap the benefits of playing for 45 minutes. There’s nothing glamorous about hard work, and that’s exactly why the media only shows us the “highlight reel” of all these superstar DJs waving their hands in front of thousands and having the time of their lives instead of the daily grind that consists of beating crazy studio deadlines, networking/promotions, and other backends work all having very little to no sleep at all. Takeaway: Passion can fuel you to your dreams, but if you don’t genuinely enjoy DJing, you’ll begin to wonder if it’s all worth it the second that you play your first empty room and trust me, there will be many. DJing will then feel like a daily slog to get to the top just like any empty job, instead of the fulfilling experience of sharing music that it is at the core. How have you got on? Talent is only half (I’d argue less than half…) the battle, and you’d be surprised at how many less talented DJs are crushing it right now through sheer grit and the determination to keep getting better at the craft, whether it’s technical chops or in developing new skill sets. If you aren’t growing, you’re dying. Now’s a great time to take a look at what you’ve accomplished so far in your DJ career (whether you started last week or in the last few decades), and to check those against your long-term goals. If you want to really set yourself apart from the “next big DJ” as well as the thousands of beginners that get into DJing every year, get ready to work hard on a regular basis. Fine-tuning your sound and musical senses take time, and staying motivated through the course really are one of the most challenging things you can face when reaching a career goal that’s pretty much sitting in the future still. Learn to enjoy the journey instead of the destination. You’ll find that towards the end, the greatest satisfaction is in knowing how far you’ve come through all the small habits, efforts, and tweaks you’ve made along the way.